Getting intrigued right on the academic grounds with a gorgeous garb decent on your bodies. 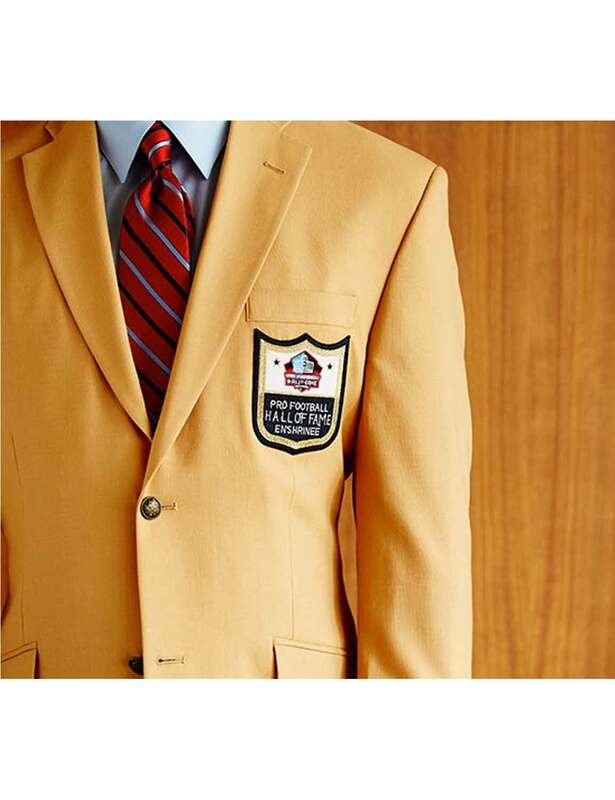 This Hall of Fame jacket is meticulously cotton blend amended while griping on facet civilities. Empowered with a scholastic approach and craftsmanship endeavored to backup it with a gracefully dressed up showiness that’s utterly sociable. 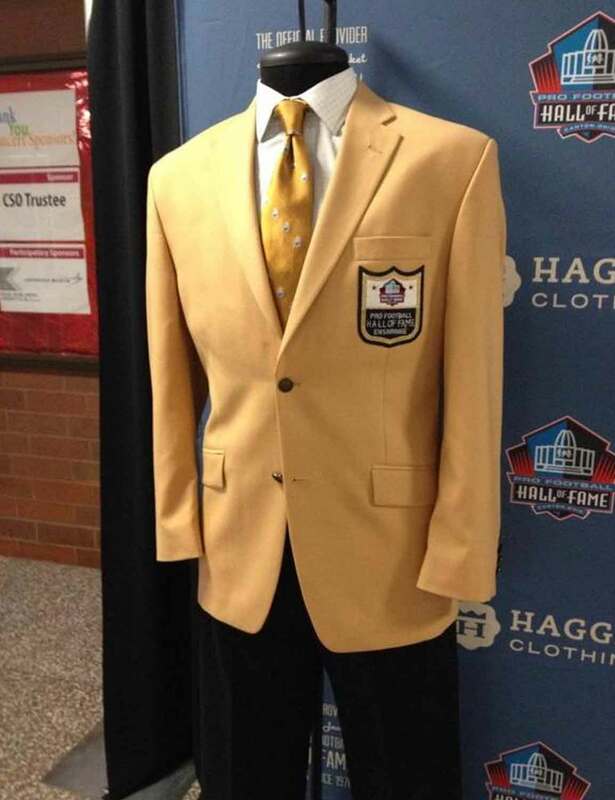 Features delegated on this Hall of Fame Gold jacket finalizes your personality with improved gestures when it comes to meet up with acquaintances. A soft inner viscose insertion complements an earthy coziness interior right over your smarten up exterior. The mustard yellow shade is delicate on the eyes yet a dominance décor prevails all over it. 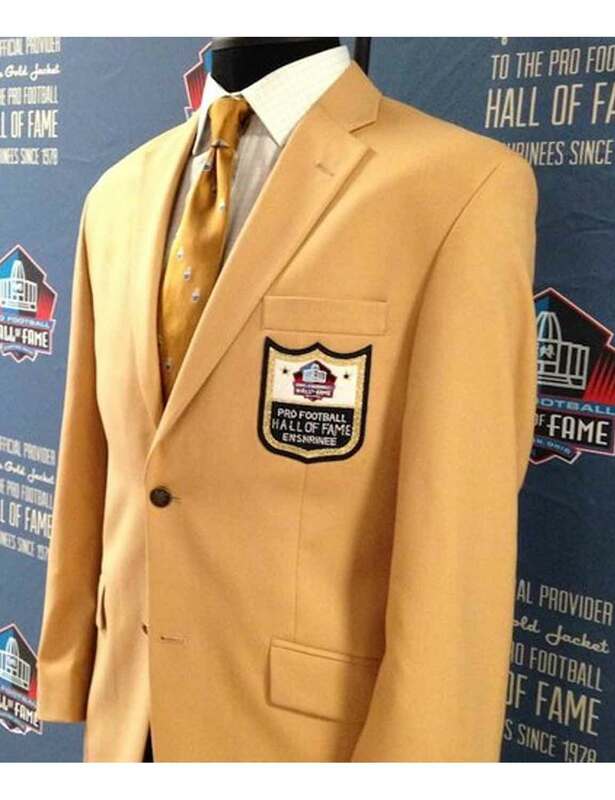 Additionally, a lapel collar zenith offers you a zeal scholastic approach, open hem cuffs are softly svelte to let you move arms liberally and a few anterior pockets to keep your objects at a safe hands zone. Furthermore, the monogram emblem on the chest pocket admits you right in the league of your buddies. The single breasted closure up front offers you a cultured facade close up and keeps you always admirable at your formal conferences. A cotton enriched novelty gratified with everything you could lawfully brag about.